Want it by Wednesday 24th April? Order within 2 hours, 49 minutes and choose Next Working Day - Kerbside Delivery (Order Must be Placed by 2pm) at checkout. Our Wood Step 8mm Laminate floor can revamp and modernise your home with ease. 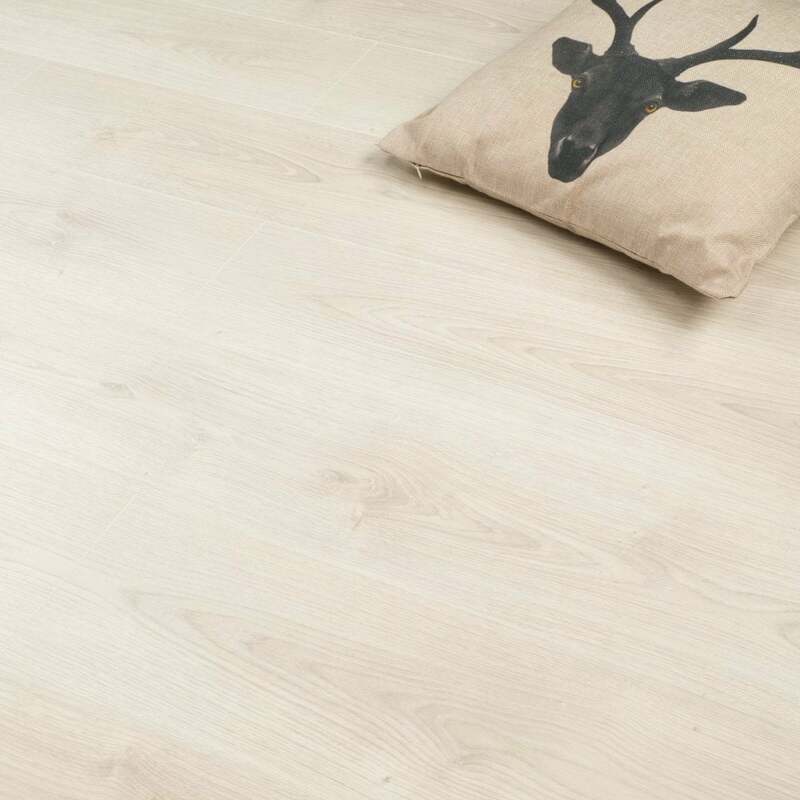 Made from HDF Core and 193mm wide, this floor will modernise your home, and as it is a 4 Sided V-Groove floor, it will look natural and stylish. A very quick and good quality laminated floor sample was sent to me to compare and decide on the right colour match with the room. It is always hard to decide online, but with free samples they make it much easier to decide. Light and bright flooring that enhances the objects in the room. Good thickness which makes the flooring sturdy. As for price - very reasonable and competitive compared to similar products in the market.